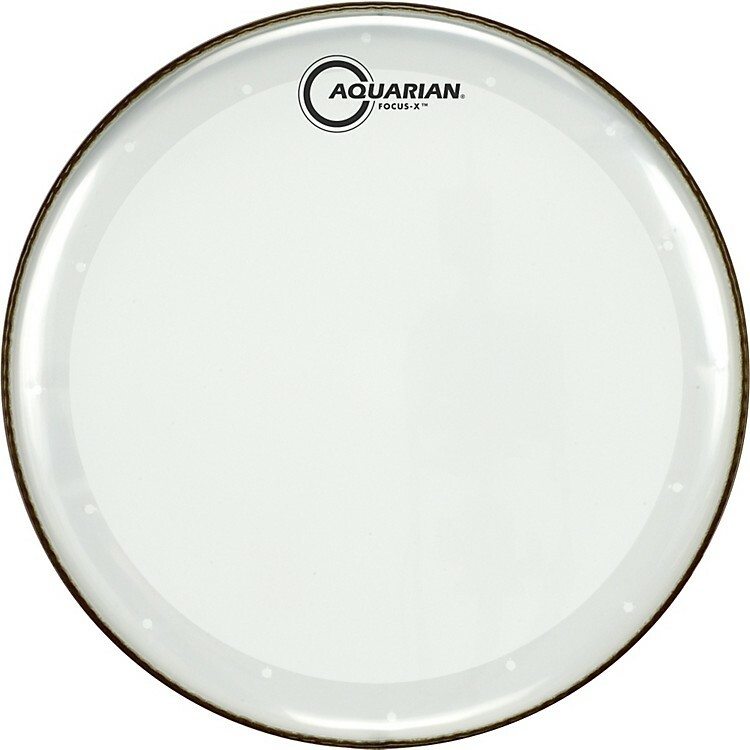 Aquarian Focus-X Snare Drumhead 14 in. A snare head you don't have to tape up to sound good! Full and articulate sound, with no unwanted ring. Texture-coated head has a unique vented muffling ring tucked into the hoop on the underneath side of the head. Sensitive snare response. Satin finish texture coating is very versatile, sounds great with sticks or brushes. Look ma, no tape. This head sounds great straight outta the box! Order today!